Award-winning author Isobelle Carmody applies her talent for adventure and suspense to a contemporary suburban setting and an offbeat, lovable cast of characters. Are Alyzon's new abilities a blessing...or a curse? 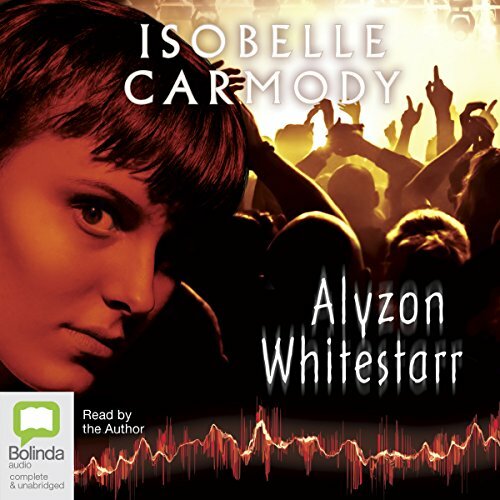 Alyzon Whitestarr doesn't take after her musically talented father or her nocturnal, artistic mother. In fact she's the most normal member of a very eccentric family...until the day that an accident leaves her more unique than she ever could have dreamed. Suddenly colours are more vibrant to Alyzon; her memory is flawless; but strangest of all is Alyzon's sense of smell. Her best friend smells of a comforting sea breeze. She registers her father's contentment as the sweet scent of caramelised sugar. But why does the cutest guy in school smell so rancid? With Alyzon's extrasensory perception comes intrigue and danger, as she becomes aware of the dark secrets and hidden ambitions that threaten her family. In the end, being different might be less of a blessing than a curse. the story inspired me to be happier, just because. it is worth fighting the sickness.